MATTHEW ARNOLD (1822-1888) was an English poet and cultural critic who worked as an inspector of schools. 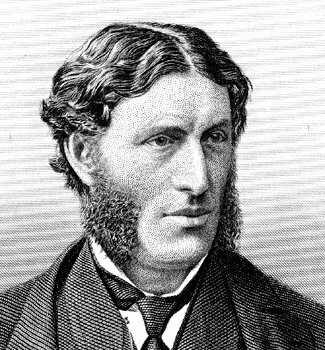 Matthew Arnold has been characterized as a sage writer, a type of writer who chastises and instructs the reader on contemporary social issues. Although remembered now for his elegantly argued critical essays, Matthew Arnold began his career as a poet, winning early recognition as a student at the Rugby School where his father, Thomas Arnold, had earned national acclaim as a strict and innovative headmaster. In 1857 he was offered a position, which he accepted and held until 1867, as Professor of Poetry at Oxford. Arnold became the first professor to lecture in English rather than Latin.